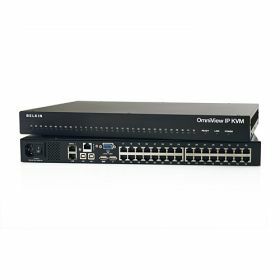 The OmniView IP 5216K KVM Switch enables two remote network administrators to monitor and control their servers simultaneously from anywhere, at anytime. This round-the-clock access lets you troubleshoot servers faster and more efficiently, dramatically reducing server downtime and service costs. The Switch also includes an analogue console port for local access. The Switch features built-in CAT5 technology to provide simplified deployment and reduced cable clutter. 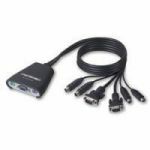 One Server Interface Module is required per server connected to the SMB KVM-over-IP Switch. Server Interface Modules are available for PS/2, USB, and Legacy Sun servers. 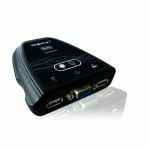 -High-Performance Remote Access, Access switch, view, and control faster than before. Switch from one remote server to another instantly. Quicker performance over Internet and congested networks. -Web Browser-Based The Switch allows you to access your KVM switch and all connected servers from any computer connected to the LAN, WAN, or Internet using Firefox or Microsoft Internet Explorer. -Out of Band--BIOS-Level Access The Switch allows you to remotely access the basic input/output system (BIOS) of your servers to make changes and perform reboots, regardless of network connectivity or server condition. -User-Friendly Interface The web-based interface allows you to set up and change the Switch functions quickly and easily through your web browser, without having to install additional software onto your servers. 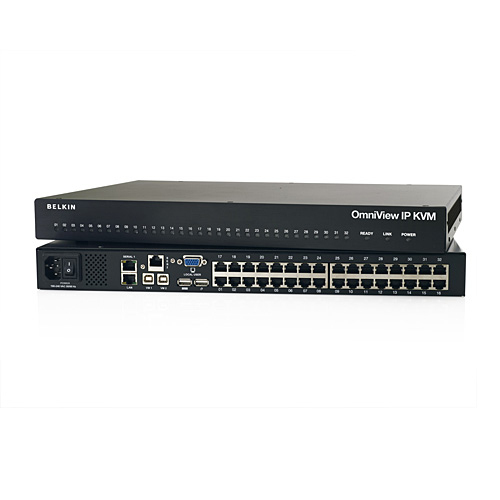 -Remote Serial Access The Switch provides support for up to two serial devices, such as a managed power distribution unit (PDU), so you can remotely perform hard reboots of your servers. -Virtual Media Technology The Switch provides virtual media support for up to two servers. 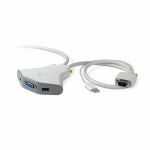 This allows remote users to copy files for their USB or CD-ROM drive to a target server that may be anywhere in the world. -Enhanced Security The IP device provides 128-bit Secure Sockets Layer (SSL) authentication and password protection to prevent unauthorized access to your servers and protect data transferred over the Internet. -Scalable Centralized Management Additional Switches can be added as your data centre grows and the entire inventory can be managed under the Belkin Central Access Appliance 5000HQ. 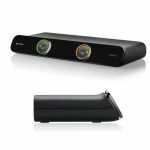 -Video Resolution The Switch supports video resolutions of up to 1600x1200@75Hz for both local and remote consoles. -Flash-Upgradeable Flash upgrades allow you to obtain the latest firmware updates for your Switch. These firmware updates ensure that the Switch is compatible with the latest devices.